This year has definitely been a season of change for me. A time of uprooting, tearing down and building up and of healing as well. So many things are happening one right after another (or on top of one another) that it's been difficult at times to keep up with them. I've been praying. A lot. 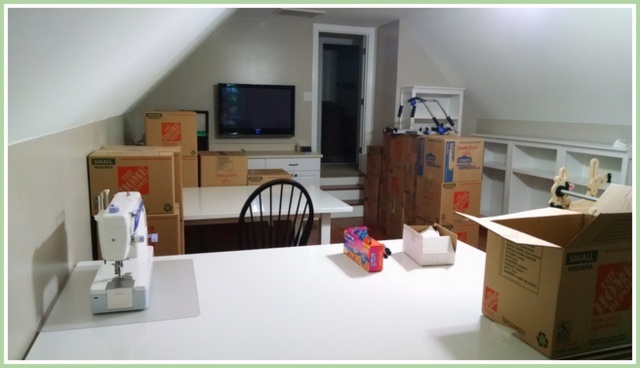 Last week, I spent a few days packing up my sewing room. Now that we've sold our house, we have the fun task of clearing it out. Fortunately, neither my husband or I are pack rats. We don't have a lot of knick knacks or extra furniture. However, you'd never guess that was the case while boxing up my quilting stuff! I took pictures before I started taking everything apart. I've loved my sewing space and hope to create something similar in the new house. I truly hope the new owners get as much enjoyment out of this space as I have. I've especially loved sitting in the window seat and looking out the window. 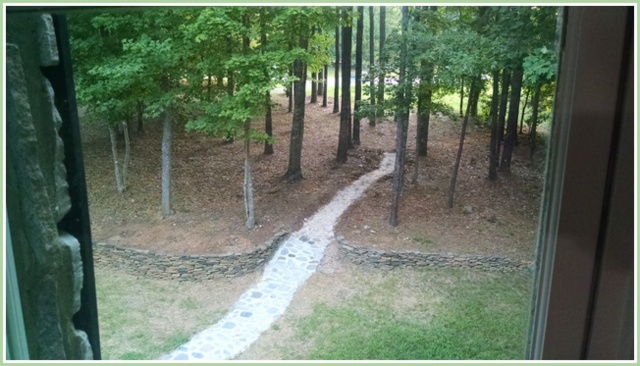 This should be the view out of my new sewing room. The sun rises on the other side of the lake so I'll get to see the sunrise since I'm usually up before then. 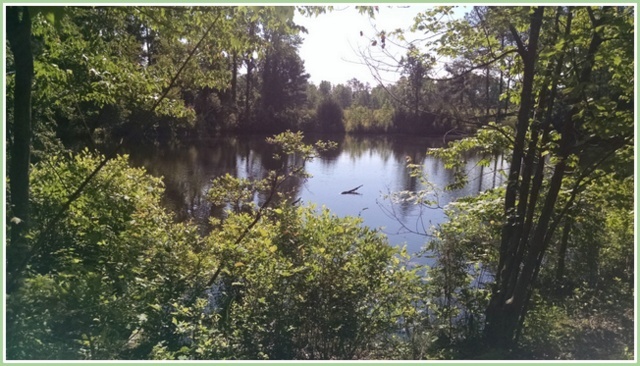 However, they've just poured the foundation on our new home, so it will be quite a while before I see a sunrise over that lake. 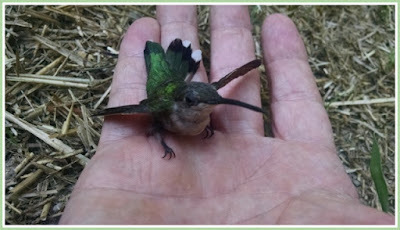 My husband found this hummingbird in our garage today. He exhausted himself trying to find his way out and my husband had to carry him outside. 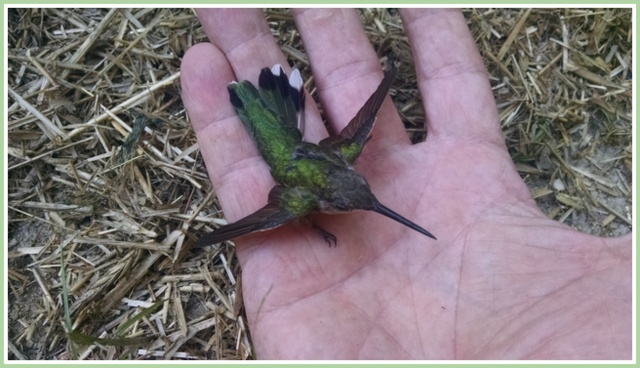 He rested in his hand for a couple of minutes - long enough for him to take pictures - then he flew away. When you pray, I will listen. If you look for me wholeheartedly, you will find me. 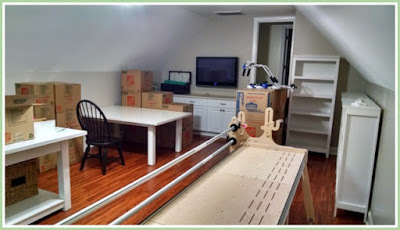 I know how hard you worked to get your beautiful sewing room just like you wanted it. I hope it will not be long till you have another new beautiful sewing room.